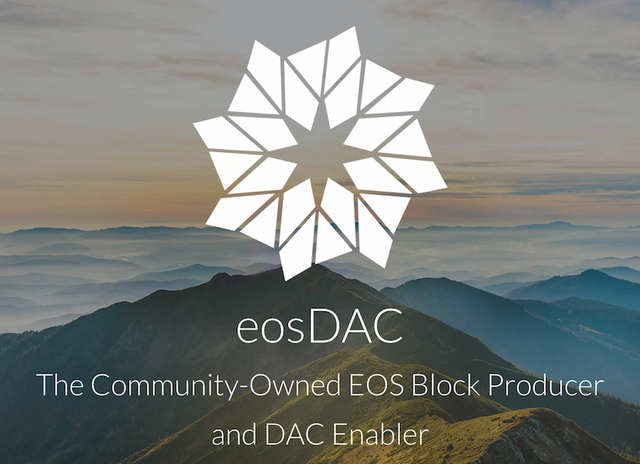 EosDAC, the community owned block producer and DAC (Decentralised Autonomous Community) enabler, was envisioned through the idea of reusing design elements of the eosio software to allow many DACs to launch and thrive on the EOS blockchains. 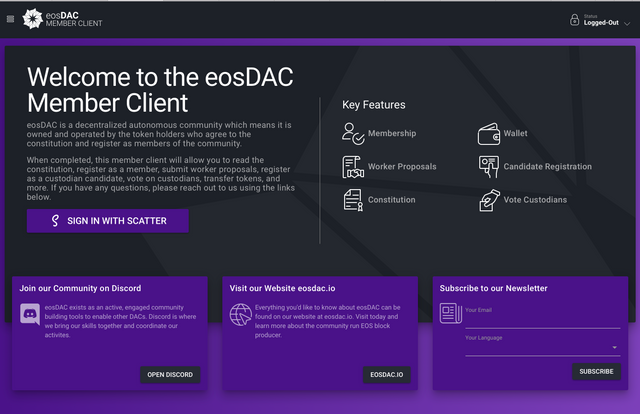 The open source eosDAC code, which has been developed over the last year, enables a delegated governance model, through which token holders can vote for 12 custodians on a week by week basis. The elected custodians then represent the community for all decisions the DAC makes. 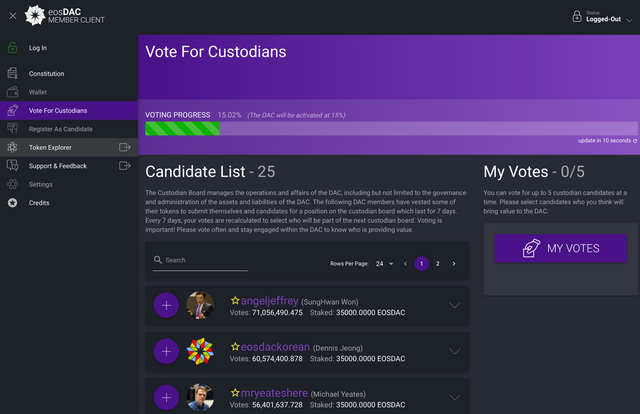 The voting was initiated 2 months ago - see https://steemit.com/eosdac/@eosdac/eosdac-custodian-candidate-voting-is-live - and there was a clause in eosDACs constitution stating that voting should reach a threshold of 15% before the elected custodians could take over (as per the EOS mainnet launch). This 15% has now been reached. The community will have full say over the direction of the DAC. As such there will be very interesting times ahead as custodians push the views of the community they represent. The genesis interim custodian prioritised block production, tools development and community communication. Much has been achieved since the initial announcement of eosDAC but revenue is lower than was anticipated, therefore prioritisation with a focus on community owned block production and enabling new DACs will be important.